Clay Communications & Marketing is a strategic marketing communications company that blends together a group of seasoned public relations, advertising, direct mail, telemarketing, research, design and event planning experts. For more than 25 years, Helene has managed both state and federal strategic marketing communications contracts as well as business-to-business advertising and public relations campaigns. She specializes in consumer and public education outreach to disadvantaged and minority populations; in particular, maternal child and health program and needs assessments, early childhood health, education and safety. She has developed and executed numerous programs addressing crisis issues including emergency preparedness; carbon monoxide poisoning; sudden infant death and abusive head trauma for the Department of Public Health, Department of Children & Families, and Department of Social Services. Prior to that, she served as Vice President for well know high tech Boston public relations agencies managing tech and financial client accounts. Her other specialties are economic development and manufacturing. She has managed statewide economic development campaigns to assist municipalities, towns and cities for job recruitment, retention and economic growth. 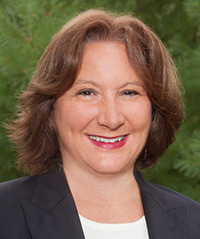 Helene’s expertise lies in strategic planning, social media/branding programs, comprehensive marketing planning; specifically programs that include advertising, qualitative and quantitative research, in particular, focus groups and online surveys, direct mail, collateral development, telemarketing and event coordination. She holds a B.S. in Communications from Emerson College, Boston, Massachusetts.